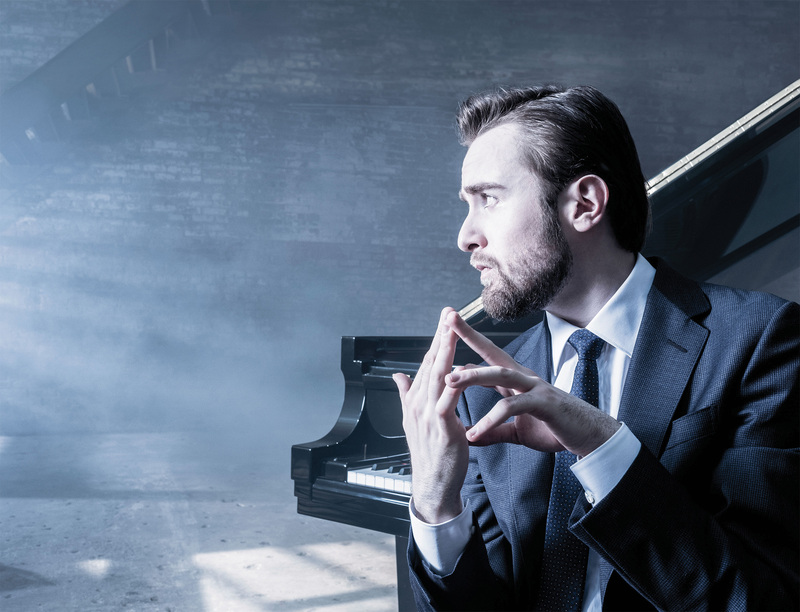 The Russian pianist, Daniil Trifonov has in recent years blazed a trail as one of the world’s leading young musicians particularly for his expressive fiery performances but also as a composer. He recently played Rachmaninov’s Third Piano Concerto in San Francisco with Michael Tilson Thomas and the San Francisco Symphony. Prior to the concert, US correspondent and fellow pianist, Tamami Honma, caught up with him to talk about his life and approach as a musician. TH: If you could take yourself back a few years, what was one of your favourite musical discoveries that helped you realise that playing music was your passion in life and the thing that you really wanted to do? 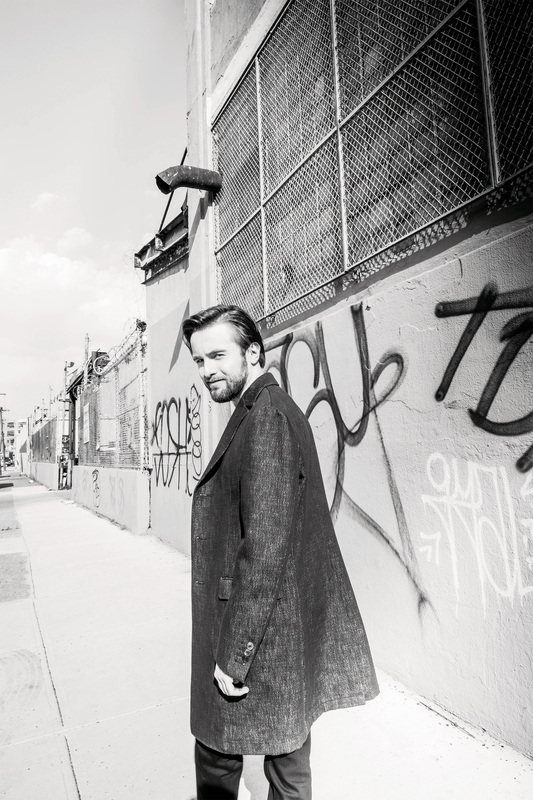 DT: Well, I think for every person, there is a particular composer that makes you have a connection. And in my case, it was Alexander Scriabin, the Russian composer of the late 19th and early 20th century. I first heard his music when I was eleven or twelve years old. TH: Who was the pianist you were listening to? DT: Well, actually it was my teacher. I was studying in Moscow with Tatiana Zelikman. She asked me to learn some Scriabin pieces. Before that, I’d already been playing some Chopin and Scriabin has a lot in common with Chopin’s music, so, to me, it was really a transition. And of course, when I started hearing music of Scriabin, I started exploring his other works not only for the piano but also for the orchestra. His orchestral work The Poem of Ecstasy became one of my favourite classical works to this day. I guess for every person, it’s different, but in my case, it was Alexander Scriabin. TH: This is a fascinating answer. For people not so familiar with Scriabin, the works that come to mind are Vers la flame, and the wonderful Black Mass and White Mass piano sonatas. Speaking of your piano teacher, what do you think is the best advice you have gotten musically that has helped you get where you are today? DT: Well, I had two teachers, one was in Moscow, Tatiana Zelikman from my music school and then later, I continued my education in Cleveland with Sergei Babayan. Of course, they both are very unique musicians. Both are representatives of the Russian school of music. I remember they both paid a lot of attention to the colours in music and how they could offer insight. They are both descendants from Heinrich Neuhaus who was one of the great mentors who used to teach in Russia in the 20th century. DT: Yes. Richter, Gilels, Teodor Gutman, Lev Naumov, Radu Lupu. TH: Neuhaus is of course absolutely legendary. If you could put into words, are there any particular lessons or ideas that you carry with you when you approach music today? DT: Yes, I think it’s the attention to detail and the focus on the compositional side for me that makes a big difference. I’m also a composer when I have the time. I think that might sometimes help. When I was in Cleveland, Sergei Babayan would suggest improvising in the spirit of a piece. Let’s say, take the beginning of the piece and then try improvising in different directions. So, in that way, you get very accustomed to the core of what the work is but at the same time, take some freedom within it. TH: Like extemporising on a motif? DT: Yes. Let’s say take first four or eight bars of a piece and then keep playing with it by taking the same phrase of music but trying out different colours and different emotions. The emotional part of the piece is very important. As a composer, myself, I feel that there is always a reflection of inner emotions especially with the Romantic composers. TH: Do you consider yourself in the line of the Romantic composers? DT: Well, that is what I have been concentrating on most. I was studying the music of Chopin, Schumann and Scriabin. These have been the most relevant in my repertoire. Also, I feel that what makes music most close to the theatre, are the dramaturgical capabilities of music. So in this sense the piano is an instrument to create certain emotional soundscapes. TH: Scriabin is of course full of emotional colours. Besides Scriabin and the influence of your teachers, is there anything else you can remember that set you on your musical path? DT: Well thinking back, what was formative for me was actually a period when I wasn’t able to play. That happened when I was 13 years old, I was walking to a lesson during winter. In Moscow, there was lot of snow and I slipped on ice and I fell down and actually my left hand was broken. This caused me not to be able to play for six weeks when I had the plaster and then several more weeks to get back into shape. So I couldn’t practise and then I started listening more to the music. I was listening to lots of Bach actually. TH: So listening to the Bach’s while you were recovering, you missed playing so much you had the incentive to return to it with renewed enthusiasm? DT: Yes, actually, that was probably the moment when I felt music had an extra important role in my life. TH: It’s something you couldn’t live without. DT: Well, yes, not for a long time at least! TH: Besides your teachers, were there any particular artists you liked to listen to? DT: When I was studying in Moscow, my teacher there Tatiana Zelikman used to give me a lot of recordings of masters from the 20th century, such as Alfred Cortot, Vladimir Horowitz, Vladimir Sofronitsky, Artur Schnabel, Glenn Gould and many others. TH: How about Dinu Lipatti – do you like his Bach recordings? DT: Yeah, of course, Dinu Lipatti as well, and Ignaz Friedman. TH: They are perceived as having been much freer in those days. Their more liberal Romantic style has gone out of performance practice today some say, but there are those who still draw inspiration from their more radical interpretations. DT: Well, I don’t know, I wouldn’t compare them to now, but these were the things my teacher used to recommend me to listen to. So those were the recordings I grew up with. TH: We know that you have been busy composing music including writing your own piano concerto but looking say 10 years or 20 years ahead of you, what are some other projects, or some goals in mind? DT: Well, there is, of course, a lot of repertoire that I want to learn and just recently I have a new project working on music from different periods of the 20th century in chronological order. There are so many gems in the 20th century music that haven’t yet made it into the wider repertoire. TH: Will this be combined into a recording project as well? DT: Currently, it’s just a recital project. I do have recording projects for other repertoire. One of them includes the complete Rachmaninov concerti which I have recently finished with the Philadelphia Orchestra. This project took about 4 years to complete, working on one concerto at a time, so several weeks ago, I finished the last of these. TH: Can I ask you which is your favourite concerto out of the four? DT: Oh, the fourth one! It is the most unusual language-wise. It was when Rachmaninov seemed to go out of his comfort zone and he explored other styles including jazz. It’s very innovative, even for Rachmaninov. TH: Which version did you use? DT: The last one. Well, there was one last version but then Rachmaninov recorded the concerto a few years after that when he added a few more changes. TH: So, are you taking those as well? TH: That’s good to know! 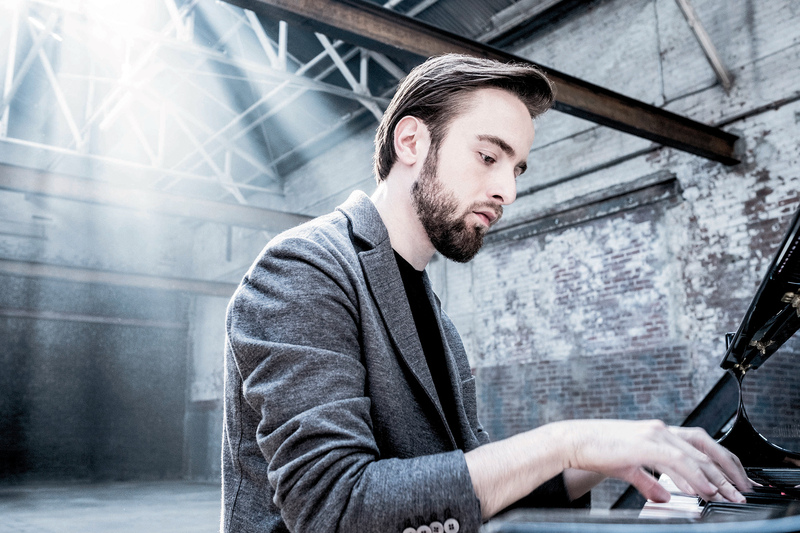 Bringing us back to today, from your perspective, when you hear students or people who aspire to be pianists, listening to the way they play in competitions, what are some things that you’d like to see changed or improved among musicians today? DT: Well, of course, going to concerts is a rare opportunity for me. But of course, when there is such opportunity, it’s wonderful to hear new works or new interpretations of familiar pieces. But I would say, to me, music exists in the realm of other arts. Music is never really a separate entity. It always has a certain relation with other art forms, in paintings and in literature, and also even movies. There are a lot of creative ideas in these realms that can be used in music as well. So as a musician I would say it’s important not to limit oneself to music but we should explore other art forms. TH: I totally agree. Incidentally, I remember you have been much quoted talking about practising under water. DT: Well that was purely technical, of course. There are some physical concerns for us as players in achieving a natural fluidity and freedom in our motion. This is always a challenge. TH: Well you have said that playing under water – or at least going through the motion of playing – gives you a little bit more resistance than doing the same thing in the air. DT: It’s just that the way the piano is designed is not ideal for this sort of thing. Of course, there should be some counterweight. TH: My teacher also advocated that the piano could be an obstacle. He suggested that when you first approach a piece of music, read it through to get the first impression, and then conduct the work, so you can hear exactly how you want to do it, with nothing in between you and what the music is going to be. DT: Oh yes, I would agree with this. TH: I think some of your approach to technique is a little bit unusual, but I think it’s in aid of making the sound that you want rather than being tied to a particular school of playing. DT: Actually, once I did an experiment when I was studying at Cleveland. This was back when smartphone apps started appearing. One of the first apps I downloaded was a music recorder, and of course, the quality of the microphones wasn’t good then. But still when I got a better microphone I did a comparison of how different playing touches look on the recording’s equaliser display. I noticed that the smoother the approach of the keys, the more gentle the line in the equaliser is. There are less sharp jumps in the frequencies. TH: Horowitz used flat fingers to achieve smoothness of touch. Do you mean like that? DT: Yes but it’s not only through the hands that we achieve minimal harshness in touch. That’s what made me explore stretching and other physical activities like yoga that focus on relaxing muscles, because this way it’s easier to achieve the sound I seek if there is no tension. TH: May I ask also how many hours you practise these days? DT: It depends on of course. When I have a full day, when I’m home, maybe 4 or 5 hours. On tour, it will be less. TH: But when you were growing up? DT: Well, that was the time when I would practise up to 8 hours, but never more than that. A little bit less would be optimal. TH: And did you break up your practice time, so that part of that was technical or most of it was across several pieces? DT: Well, with technical practice, I’m not sure how effective it is when it is completely withdrawn from music. When practising technically, it’s important to phrase and play with some involvement in the music. I’d say even technical practising should be emotionally involved because otherwise it becomes a separate entity and in a performance, it might not work. TH: And did you work on 3 or 4 pieces in one session or would you work on one piece at a time? DT: It depends but more often I’d concentrate on one piece. TH: It’s nice to have these details because it’s more revealing than simply finding out that people just sat there playing for many hours a day! I think Horowitz was guilty of practising by repeating over and over a passage while he was reading a book at the same time, as if he just had to program the passage into his fingers. DT: Yes. I have done something similar sometimes when I had to practise something technical and there was a good football match going on. So I would watch the game while practising a difficult passage but I wouldn’t suggest it as a good method in general! TH: When you were young, were you disciplined in your approach about practice or did you have to force yourself to do a certain amount of practice? DT: Of course back then both of my parents were musicians and they would contribute to the discipline. DT: (laughing) Well, that could be an example. But later on, of course, I was managing my time myself. TH: I have children myself, and sometimes, I have a hard time getting them to practise their instruments. If you were a father, what would you say to encourage them to go practise? DT: In my case, I think it was the music itself that was very interesting to me. I liked listening to it and that inspired me to practise it. So I would suggest listening to music and to great performances. This can give an important source of inspiration. TH: I saw in another interview you gave, someone had asked what do you do for fun, and I thought that was maybe not the best question for you, because it’s evident that music is your fun! DT: Among other things, yes! TH: Turning now to your interest in composing, in 2014 you premiered your piano concerto in E minor. The New York Times described your music as “unapologetically tonal” and perhaps inevitably, your compositional style has been compared to Scriabin and, of course, to Prokofiev and Rachmaninov. What do you think about that kind of characterisation? Are those the kind of influences you want people to hear or were you looking for something different? DT: Well, I believe that what we hear during our initial upbringing, of course, affects us a lot for the future. I grew up listening to lots of Russian piano music. So the music of Rachmaninov and Scriabin contributed a lot to forming my compositional ideas. TH: It seems composers today face a difficult challenge because most people don’t want to listen to atonal music, and yet, if you write something tonal critics will complain it is simply derivative from the great composers of the past. What do you make of this and in particular the complaint about tonal music? DT: I wouldn’t say I would worry about these comments. To me I can only write music that is natural to me. I think every composer should follow his or her own path. I think it’s always good to be true to yourself. TH: How long did it take you to compose your piano concerto? DT: About a year and most of the time was actually spent on orchestration, which is quite time consuming. It was also the very first piece I had to orchestrate, so that was quite challenging. TH: Is that something that you studied in Moscow? DT: I studied composition both in Moscow and in Cleveland. Largely there was an emphasis on orchestration and instrumentation. TH: What plans do you have for future compositions? DT: Actually, in just couple of weeks, we will be premiering a new work in a chamber orchestra version with Kremerata Baltica and Gidon Kremer. This is a quintet for piano and strings that can also be played in a chamber orchestra setting. TH: And how would you describe the style of this piece? DT: Well I have been in past years, playing certain repertoire that is quite influential for me. For for example, Schnittke’s concerto for piano and strings is a brilliant work and one of my favourite concertos of the 20th century. So perhaps there are certain elements from there as well. TH: You’re coming next to San Francisco to perform. Do you have any plans to go to Asia any time soon? DT: Ah yes, I’m going to tour with Juilliard Orchestra and Babayan this November, a tour in China. TH: Do you know the repertoire yet? DT: I believe this is Rachmaninov’s Third Piano Concerto. TH: So your Rachmaninov project continues both in San Francisco and then in China. DT: I don’t think it’s possible to get tired of Rachmaninov’s music! TH: So there’s the story about Horowitz who was playing Rachmaninov Third for the composer himself. Horowitz had a good sense of humour. He knew well the composer’s markings in the score but in some cases deliberately did the extreme opposite. Afterwards he asked Rachmaninov “what do you think of this?” and the composer said, “Oh, it sounded great. That was a good idea!”. DT: Well, I find Rachmaninov actually contradicted himself a lot. In his recordings of the second concerto, they have not much to do with what he wrote in the score, both in terms of tempi and in terms of dynamics. He wrote, for example, a lot of places with slow down, and then in the same place in the recording, he actually speeded up! TH: How do you feel about when people approach your music saying someone will be playing your concerto one day, would you be ok with them taking liberties? DT: Well, things are always different when performed by a different person, so I don’t think it makes sense to try to replicate things exactly. There will be different ideas, it’s inevitable. TH: I think some people say that the CD industry killed the concert going audience, because there you’ve a perfectly controlled sound experience with no mistakes. With the best playing why would you go anywhere else? So for people who never go to live concerts, because they listen to recordings or watch on YouTube, what would be the thing you would say to them to get them excited about going to concerts? DT: Well, a great live experience, of course, surpasses what you can hear on a recording. It is the same idea when you compare watching football at home or at a stadium. It’s simply a different experience. Live performance is live performance! 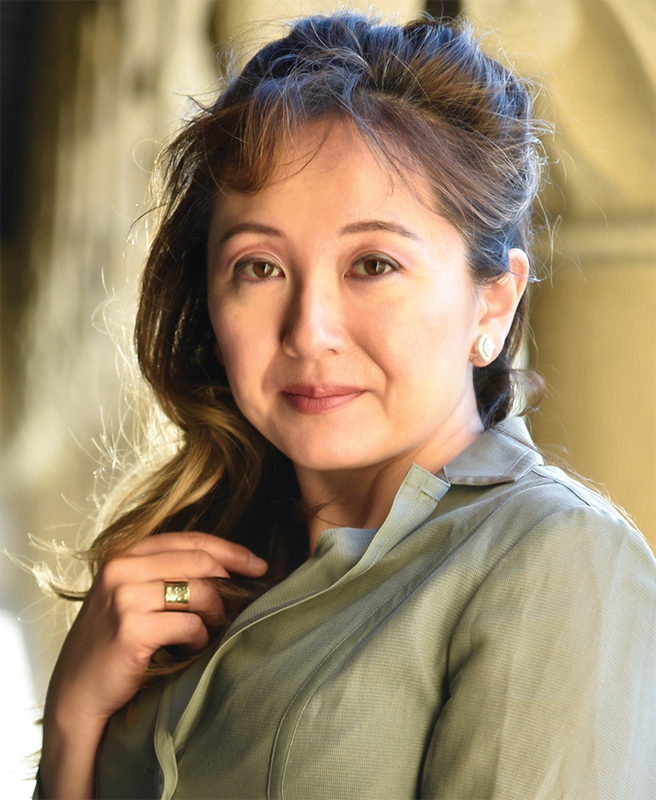 About the author: Tamami Honma is US correspondent for Vantage and an internationally acclaimed concert pianist based in Saratoga, California. Ms Honma received her undergraduate degree at the Manhattan School of Music in New York and received her Master’s Degree and subsequent honorary ARAM degree from the Royal Academy of Music in London. She was a lecturer as a member of their academic faculty for a number of years before moving to the US, where she maintains a full concert schedule while also running a private studio. She is a distinguished faculty member at the Community School of Arts & Music and vocal coach at the San Francisco Conservatory of Music.